"... the tunes evoke a wide range of genres, from classic jazz via swing to modern ... a delightful album." "It's hard to believe there are only four instruments here. The arrangements are so ingenious and the playing so nimble it could be at least twice that number. The style is sophisticated small band swing, a judicious mixture of originals and swing-era numbers ... it's about time this idiom received some fresh attention and here's the perfect curtain-raiser." 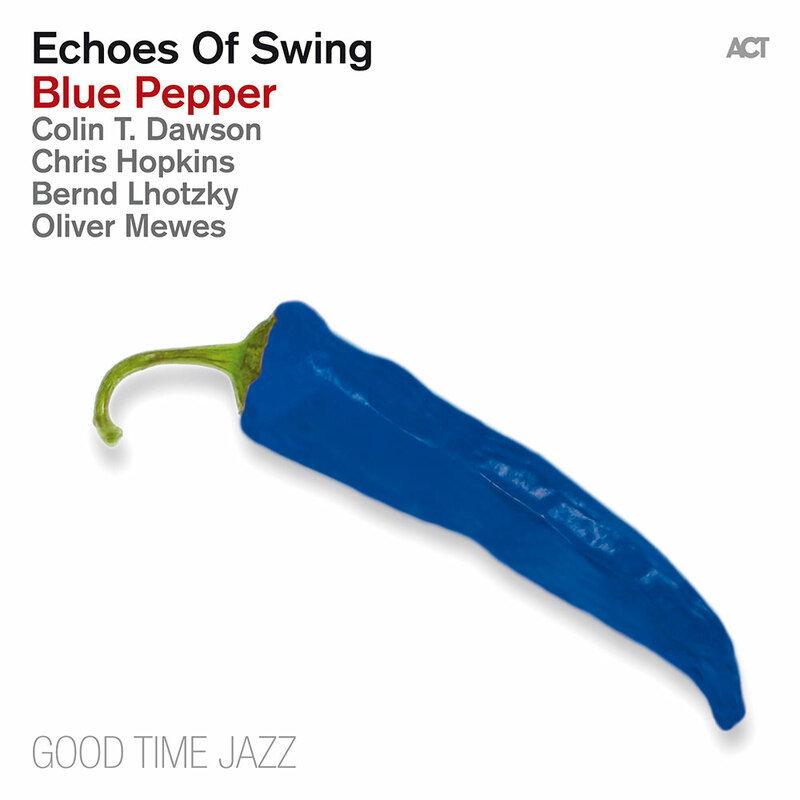 On Blue Pepper, modern swing band Echoes Of Swing open a new chapter, a quantum leap forward from their last award winning release, with even more impressive arrangements and some outstanding original pieces. A concept album of sorts, all the tracks have the word "blue" in their titles or concern themselves with the colour. The legacy of the swing era is safe in the hands of these fine musicians.